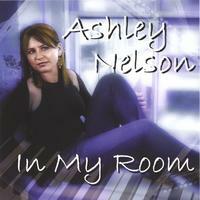 Ashley has been composing and arranging music for over 20 years. In 2004, she independently produced her own album, In My Room, showcasing her songwriting, piano, and vocal skills. She was very fortunate to be able to work with Greg Schuler in his studio, and also arranged and sang background vocals for 3000 Miles Away from Greg's album, Said and Done. She has arranged over 75 collegiate-style a cappella, pop, and traditional choral ﻿pieces for choirs of all ages and levels. Ashley has recently become interested in choral arranging and has several pieces published with Santa Barbara Music Publishing, Inc. Arrangements may also be purchased through J.W. Pepper. Contact Ashley if you are interested in hiring her for vocal and/or instrumental arrangements or compositions.